We are delighted to announce that our keynote speaker at the 133nd Northern Society Annual Dinner on Friday 16 October 2015 will be Baroness Tanni Grey-Thompson DBE. In Seoul in 1988, Tanni represented Great Britain and won her first Paralympic medal, the 400m bronze. Spinal surgery forced Tanni to take a year away from the track and incredibly, at the 1992 Barcelona Paralympics, she stormed to victory taking four gold medals in the 100, 200, 400 and 800 metres and a silver in the 4x100m relay. The same year, she won her first of six London Wheelchair Marathons. Tanni won the 800 metres gold in the 1996 Atlanta Paralympics along with three silver medals in the 100, 200 and 400 metres. At the 2000 Sydney Paralympics, 31 year old Tanni returned with a vengeance, striking gold a fabulous four times in the 100, 200, 400 and 800 metres. In Athens 2004, aged 35, she takes first place in the 100 and 400 metres bringing her Paralympic gold medal tally to an astonishing eleven. Her total Paralympic Medal tally is 11 gold, 4 silvers and 1 bronze. In 2010 Tanni was appointed to the House of Lords, where she serves as a non party political crossbench peer. 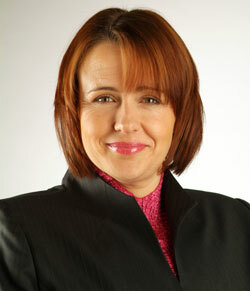 Tanni took the title Baroness Grey-Thompson of Eaglescliffe in the County of Durham. Tanni is a working peer and hopes to use her experience and knowledge to great effect in debates in the House. She has most recently contributed in the Welfare Reform and Legal Aid Bill. The Northern Society Annual Dinner is on Friday 16 October 2015 at the Civic Centre, Newcastle upon Tyne. During the course of the evening we will hold a raffle to raise funds for the British Wheelchair Racing Association. 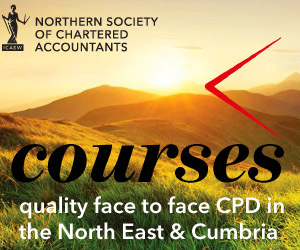 For further information and to discuss sponsorship opportunities please contact Joanne Lucking joanne.lucking@icaew.com 0191 300 0532.